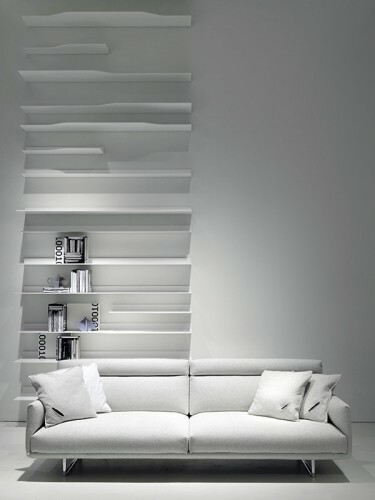 EASY WAVE. 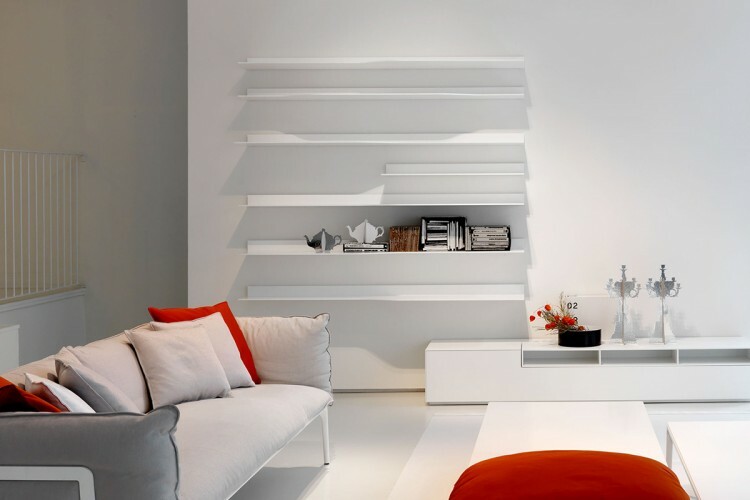 Shelves, white table tops. MDF Italia. 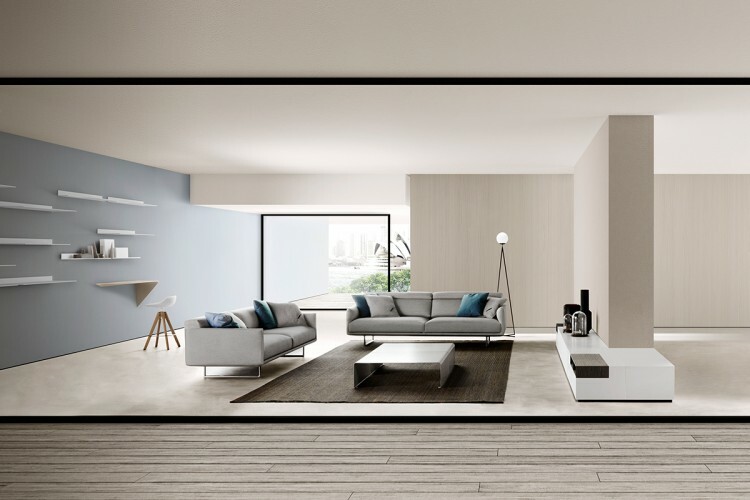 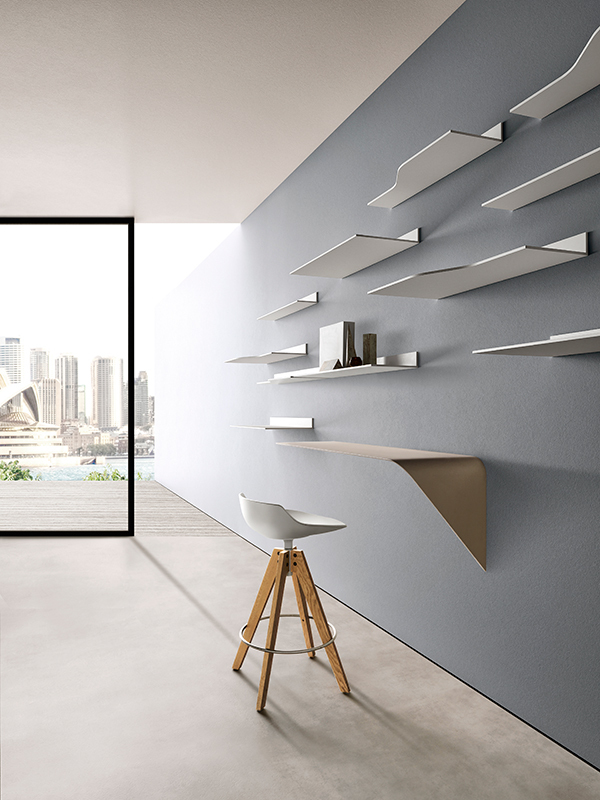 Unstructured version of the Wave wall system that allows to develop different compositions, that are more restrained and rarefied, with few elements thus making the system more transverse within the house. 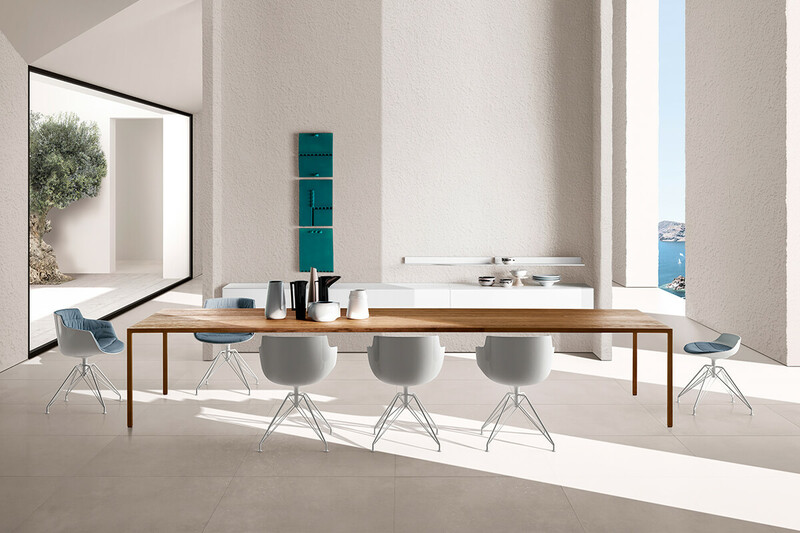 Visual and functional features remain unaltered, keeping the design and dynamic nature of the original product. 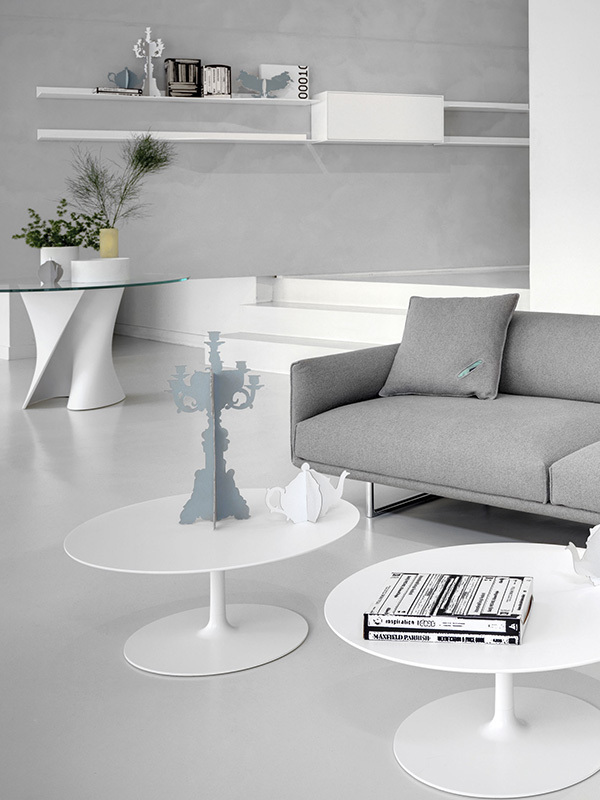 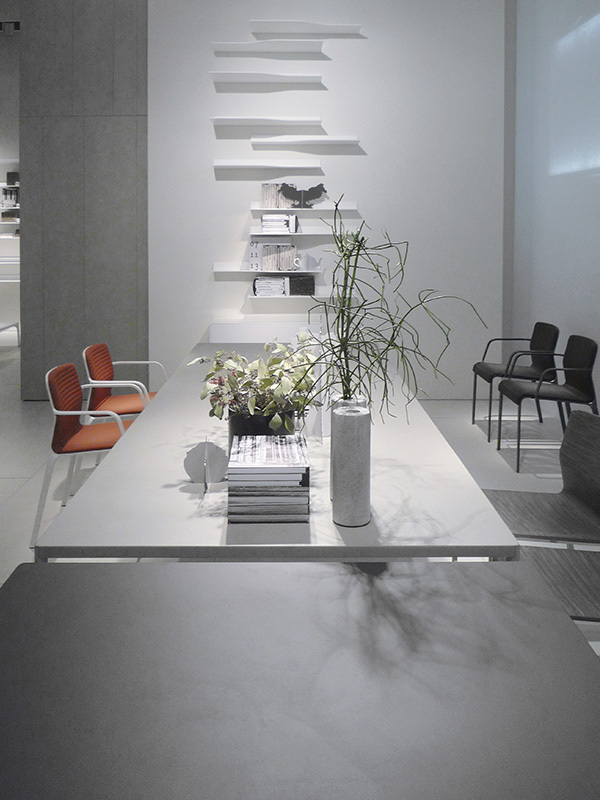 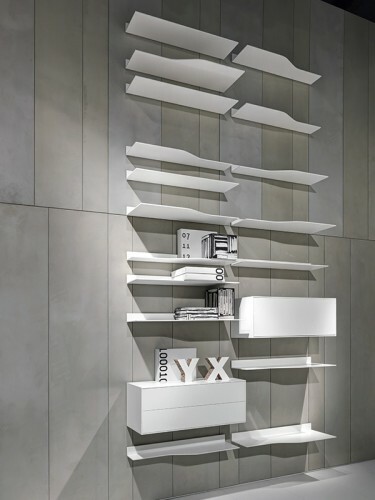 Shelves are made of white acrylic solid surface, 9 mm thick. 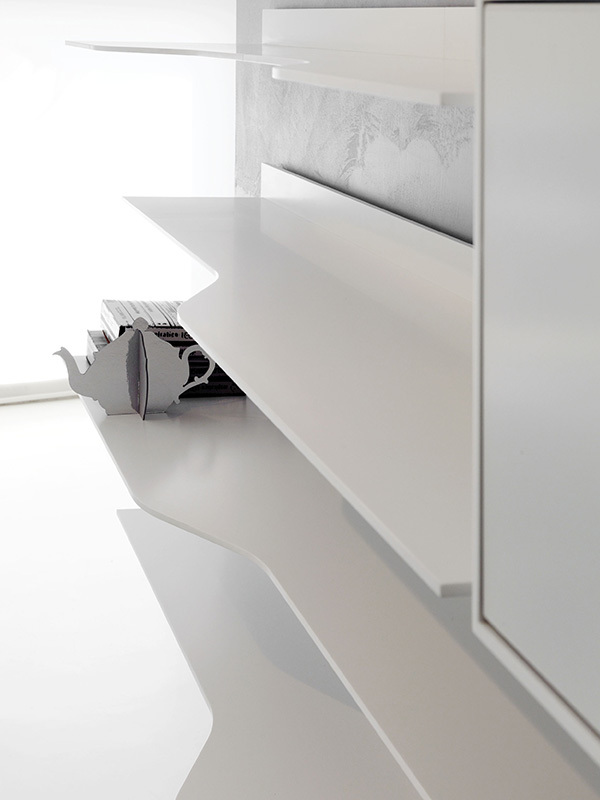 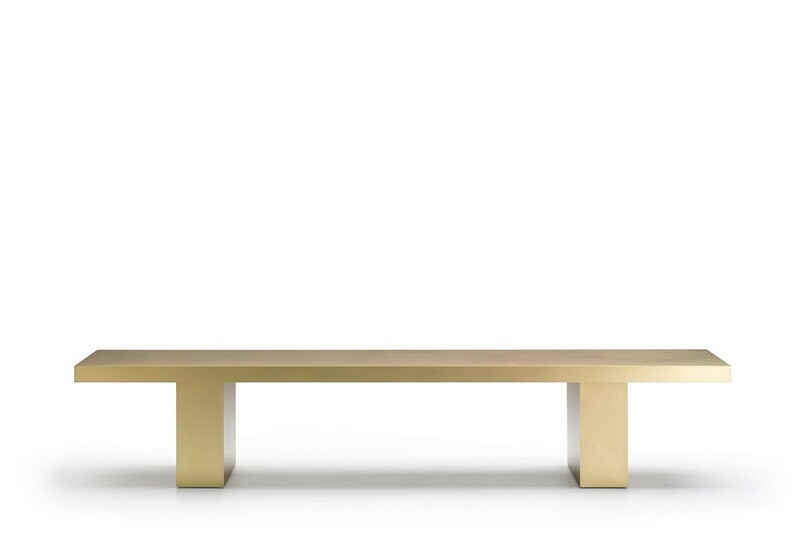 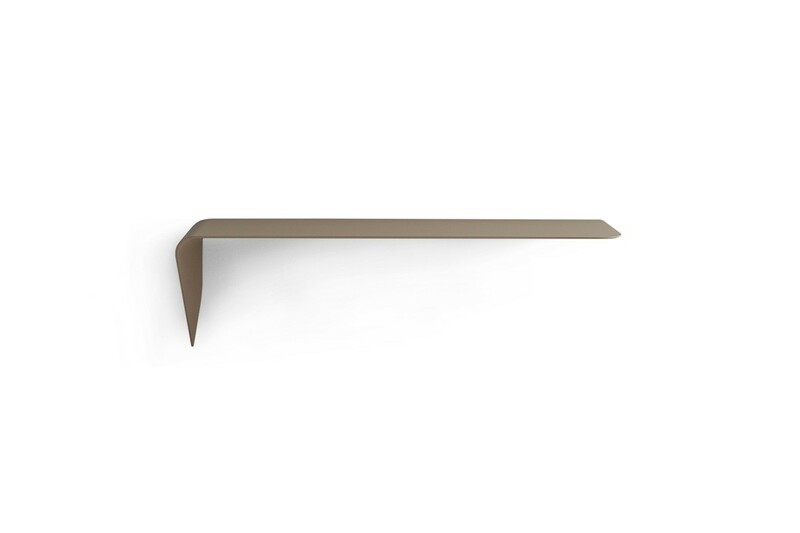 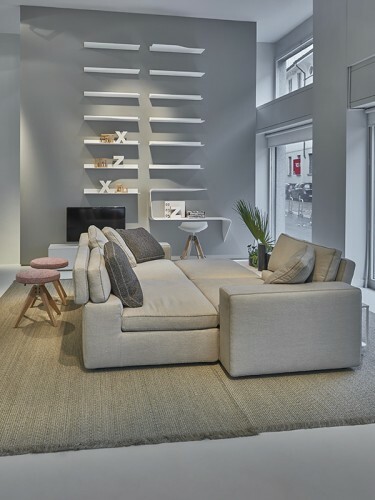 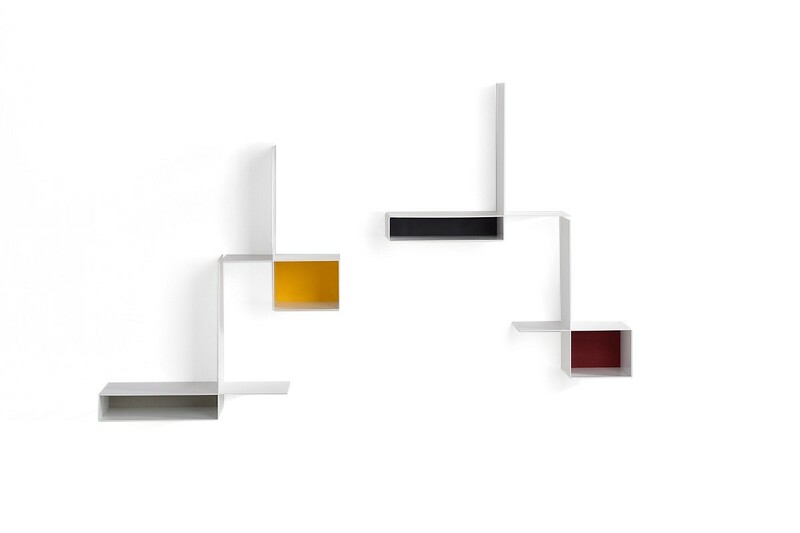 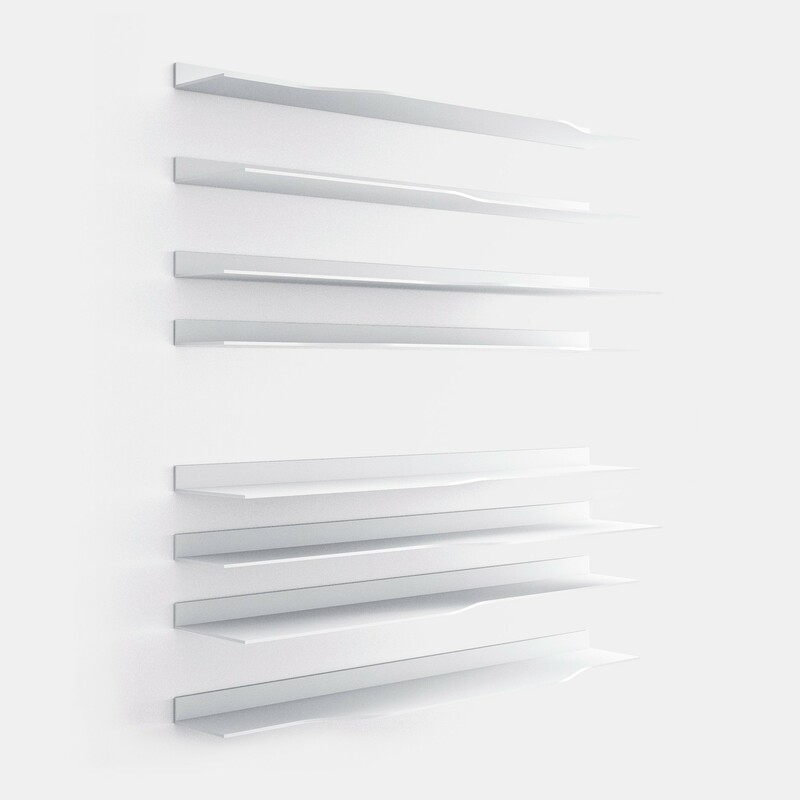 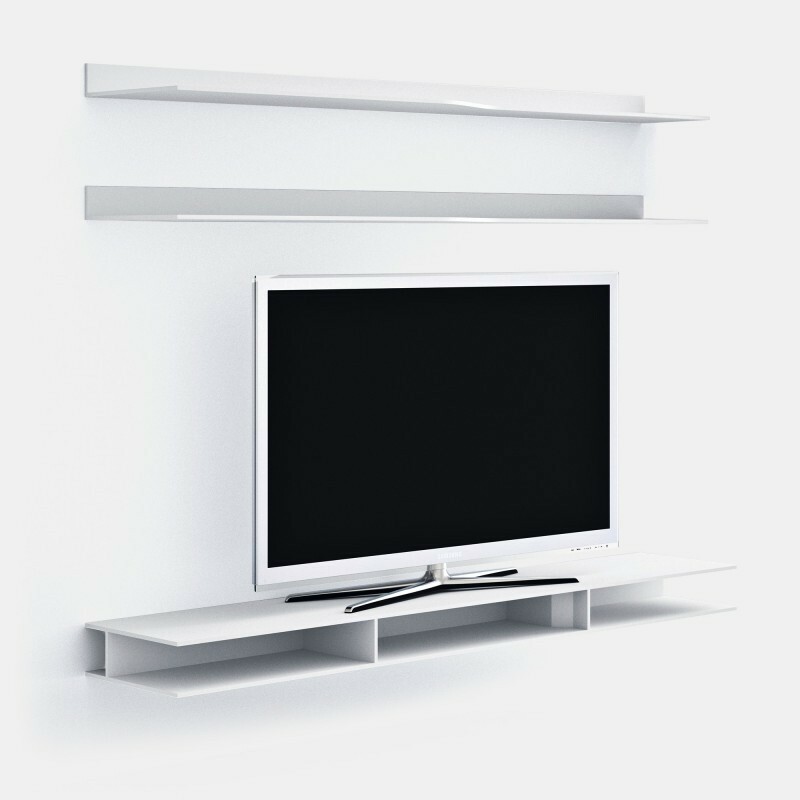 Some shelves feature a change of depth (35/25 and 25/15 cm) connected through a sinuous and smart design.